Mechanism is an Adventure game for PC published by Alexander Goodwin in 2018. Help the little robot fellow to find the answers! A lonely surviver of an infected world with an unknown disease starts its journey to save the world. Search for answers to find out what has happend! 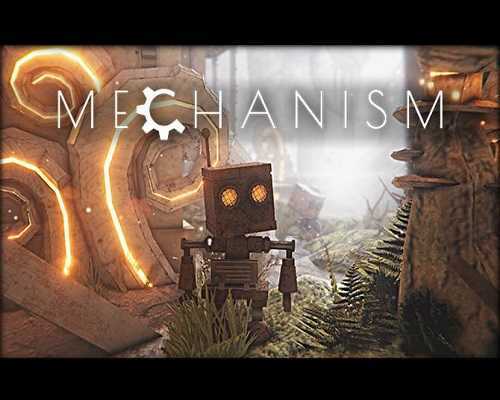 Mechanism – – an adventure game about a lonely robot. Dive into a depressive steampunk world which has been infected with a strange disease called “Phlegm”. A lone robot wakes up and finds out that his world has changed dramatically. Black tumors called Flegma are everywhere and have caused the death of countless robots. Our hero is totally lost, just as you are. What happens to the world depends only on your choices. The main thing to do in mechanism is exploring a bleak, and devastated world, now lying in ruins, where apparently you are the sole survivor. The atmosphere and art direction are absolutely impressive, and contribute a lot in giving out a sense of mystery, alienation, and loneliness. Soon, you will figure out certain items you find will have each their specific use, mostly in repairing broken machinery, allowing the exploration of different areas of the map. In each new area, you will find new items, dangers, and maybe answers to what happened. Explore the world of “Mechanism”, which changes based on your actions. Solve riddles using various objects but be careful because Flegma can harm not only organic beings, but robots as well. Game mechanics based on the character’s contamination level. A lot of exploration, similar to the “Souls” game series! Find every secret corner of every location to understand what happened to the world. 0 Comments ON " Mechanism PC Game Free Download "